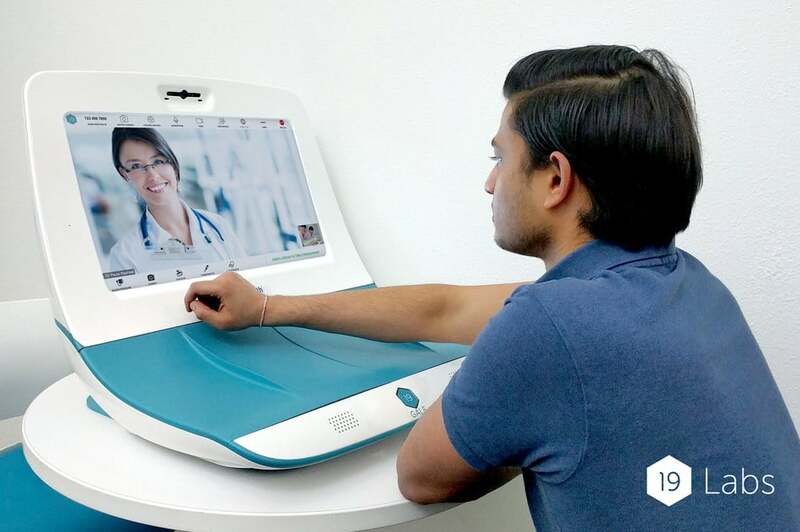 MENLO PARK, Calif., Sept. 25, 2018 /PRNewswire/ — 19Labs, the leader in telehealth point-of-care solutions, announced today the availability of GALE Digital Health Center. “On-site – for every site. GALE Digital Health centers enable employers to offer the benefits of on-site care to all of their sites as well as expand the services and utilizations of large on-site care locations,” says Ram Fish, 19Labs Founder and CEO. GALE units expand traditional telehealth to new places and use cases. Each unit supports different telehealth providers and technologies, including direct connection to national telehealth platform American Well as well as Zoom Video Communications. AI, smart diagnostic devices, and chronic disease management programs are integrated into a seamless experience. Designed with a unique focus on ease of use so any employee or facilitator can operate a GALE unit, significantly lowering the operating costs. Deployments of GALE units are managed through the GALE Deployment Management System. The web platform allows units to be configured remotely, reducing the need for dedicated IT support personal. This further lowers the operating costs and the need for on-site management. The combination of GALE new telehealth services and the GALE DMS cloud deployment platform is changing the telehealth business case and the result is a compelling cost-effective telehealth point-of-care solution that supports countless use cases. 19Labs GALE Platform is making healthcare accessible with effective, affordable telehealth point of care solutions for employers, care facilities, schools and pharmacies. The company’s products include GALE MINI, a portable healthcare tablet, GALE MAX, a smart healthcare kiosk and GALE DMS Cloud solution. 19Labs was founded in 2015 and led by former Apple, Samsung, and Qualcomm executives. The company has received funding from investors including TransPacific Ventures, TEC Ventures and Torrey Pines Ventures. 19Labs is based in Menlo Park, California and Victoria, British Columbia.